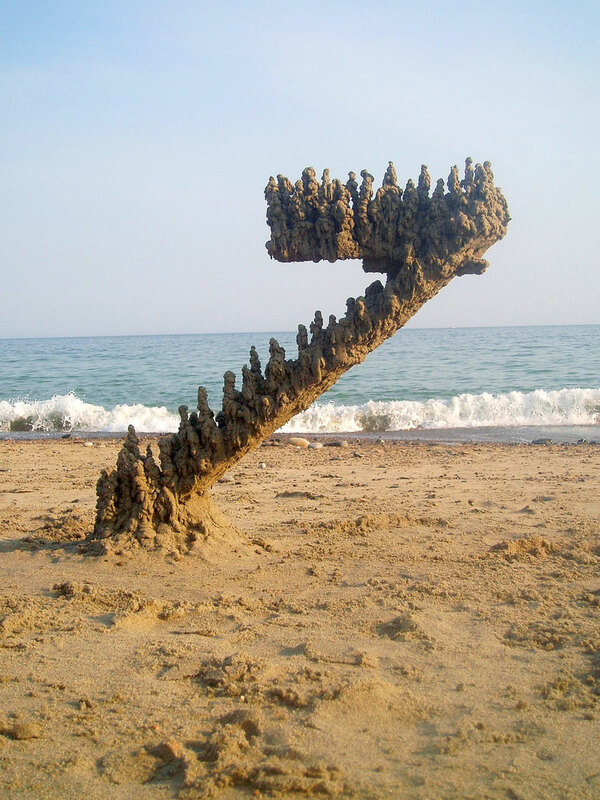 Spring is in the air (sorta), and with summer just around the corner, we thought a beach-related post was in order. 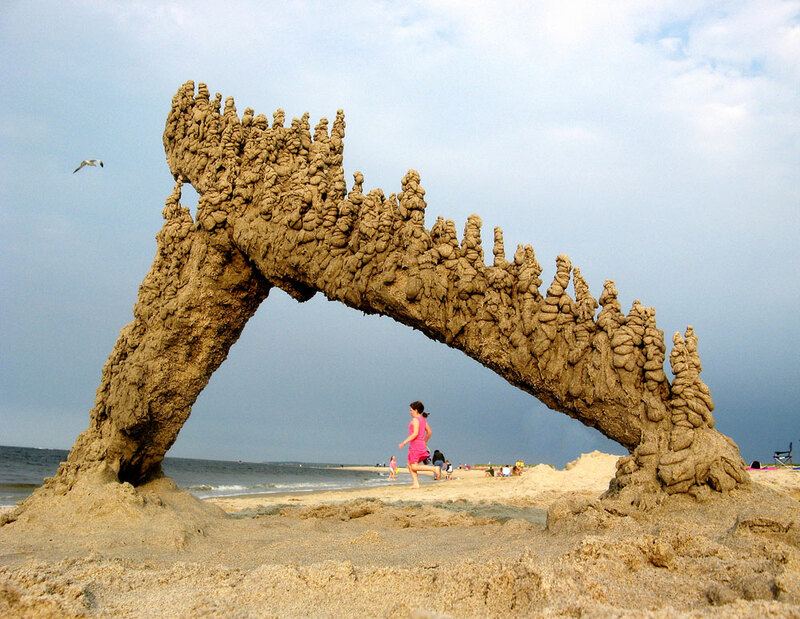 A favorite pastime of many is spending warm sunny days building sand castles on the beach. 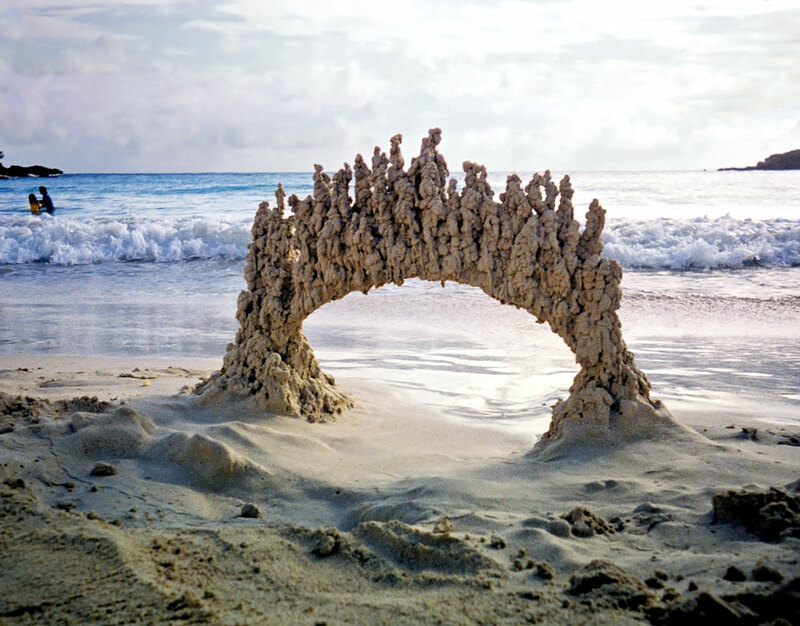 They take many forms, from bucket molds, to deep moat formations, to the ubiquitous drip castle. 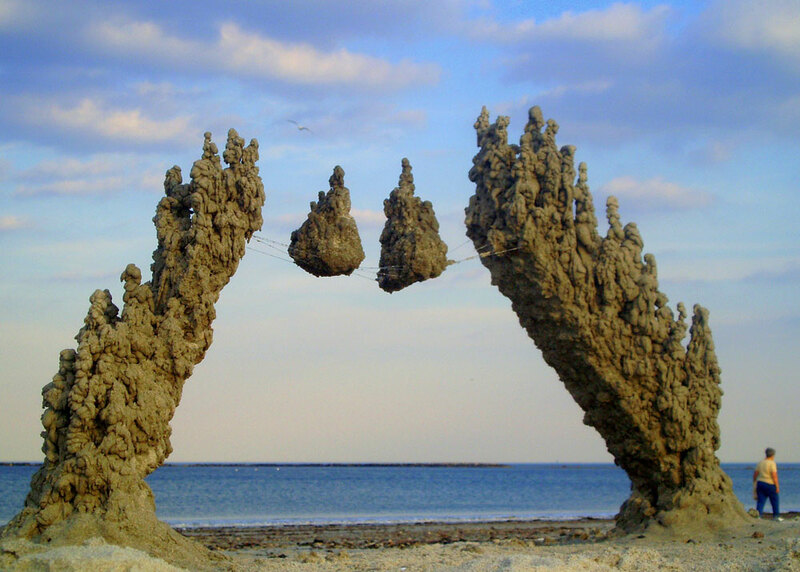 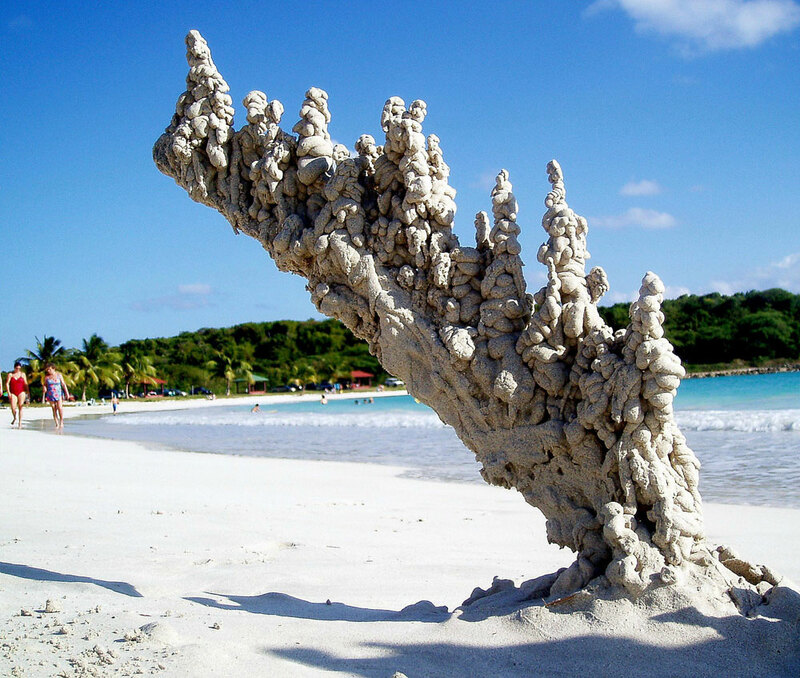 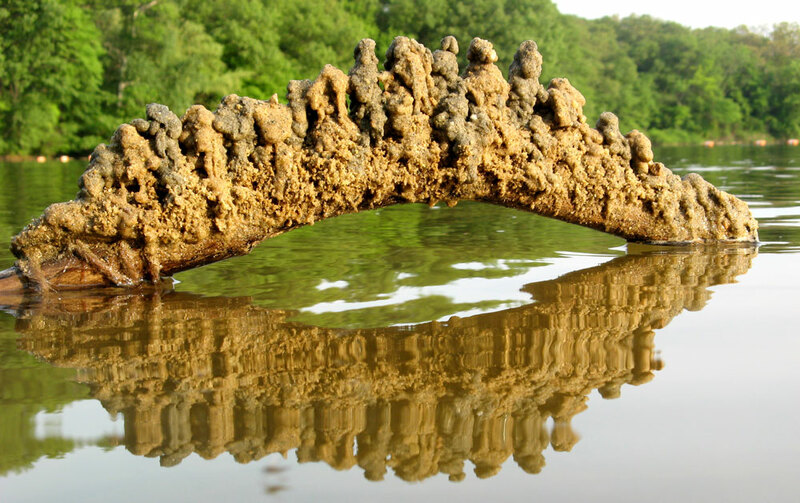 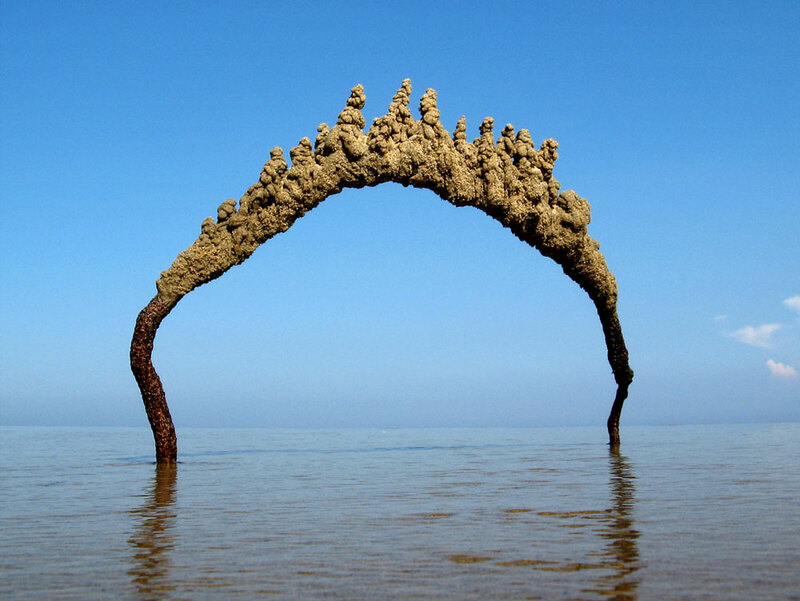 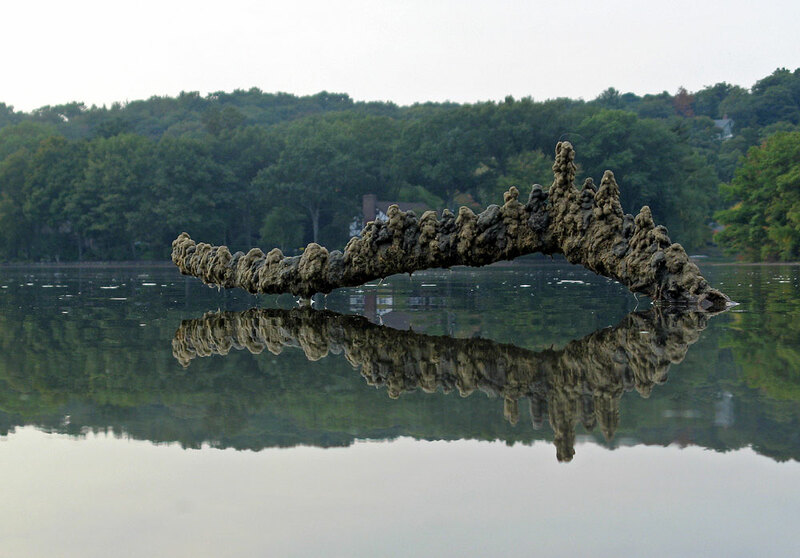 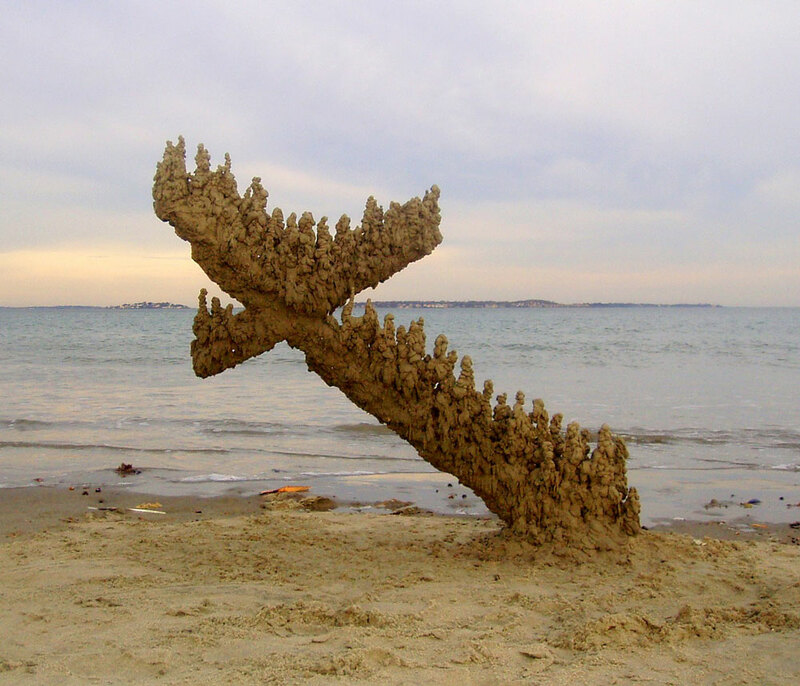 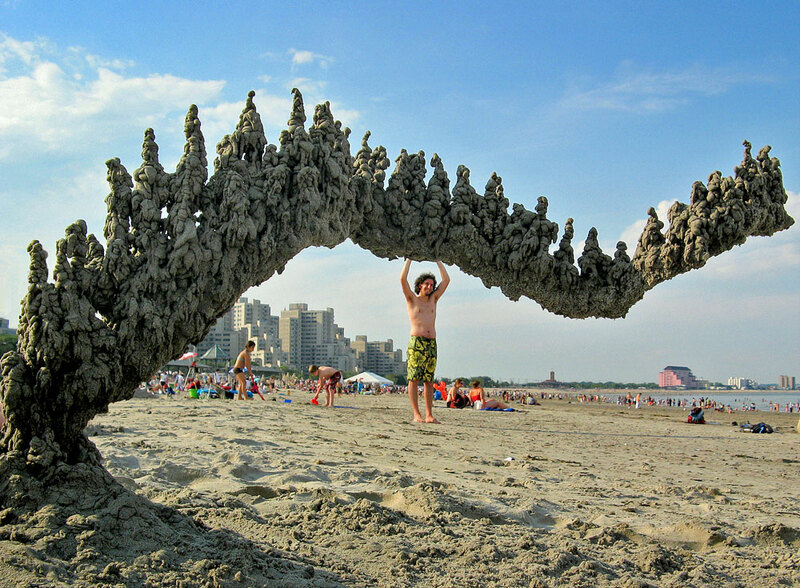 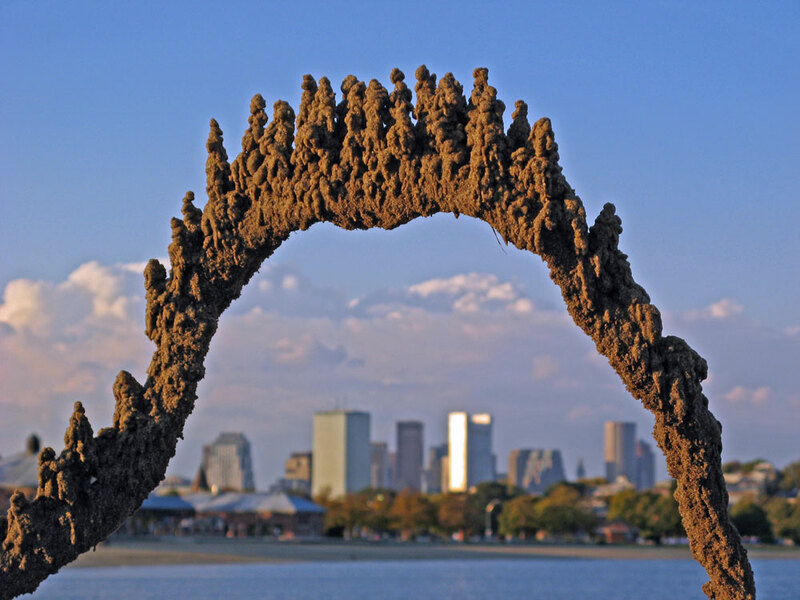 A Massachusetts artist simply known as SandCastleMatt creates incredible sand structures that stand out from the rest. 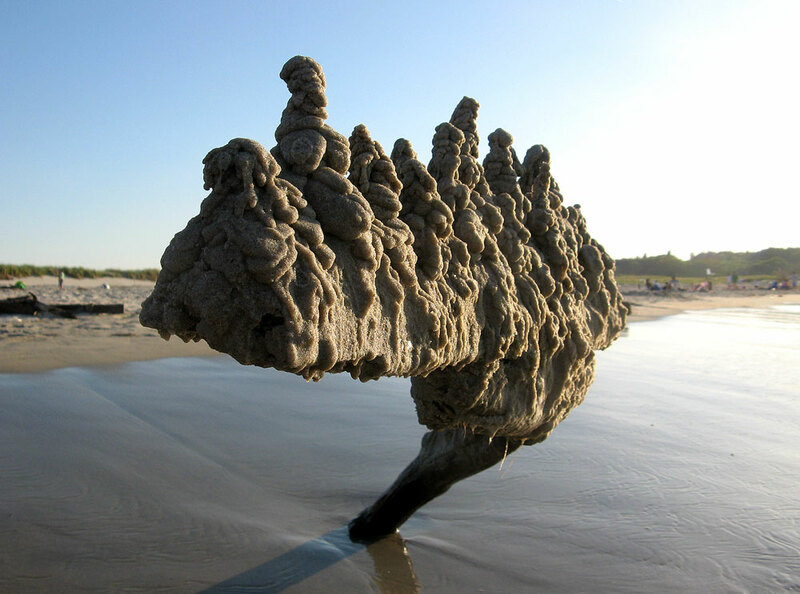 What’s unique about Matt’s work is that his designs almost look organic, like they naturally emerge from the beach. 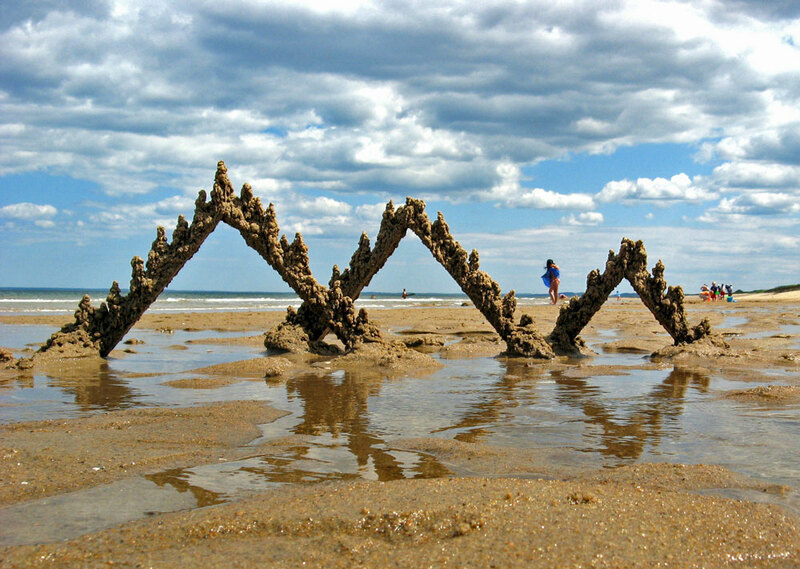 Using found objects, like sticks, vines, wood and other repurposed junk, Matt builds a framework to support his structures. 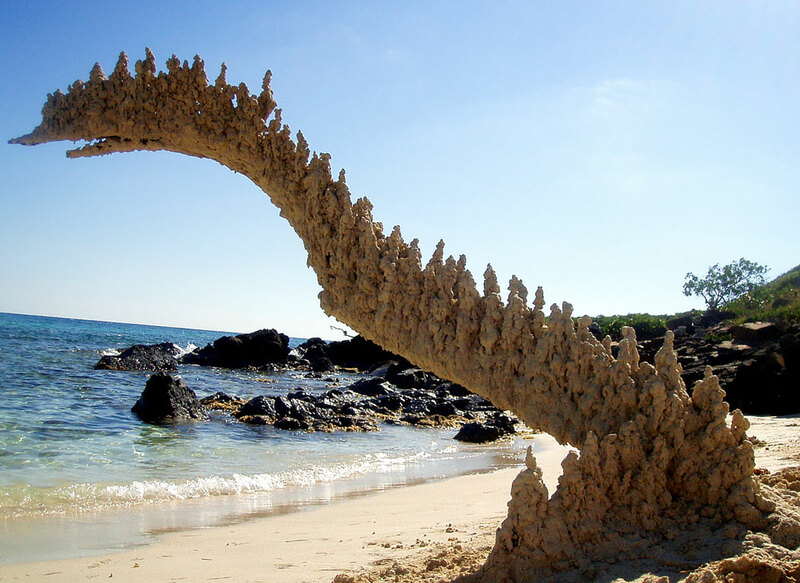 Then he employs the classic drip method, which conceals the bones of his impressive ephemeral work. 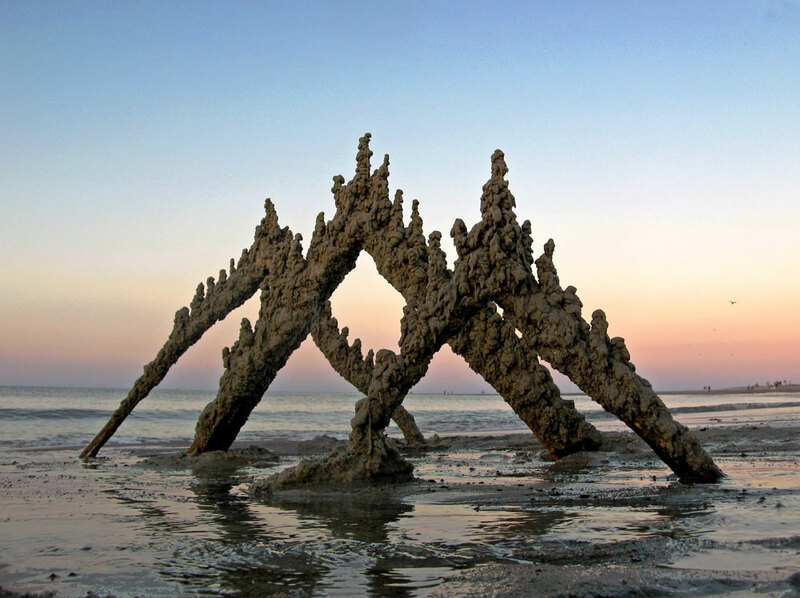 a few years back, a viral photo mistakingly identified one of his structures as the result of a lightening strike in the sand, which was later debunked by Scientific American (here).